Through our our sponsorship of Wisdom 2.0 in 2015, we met Vlad, the project leader of the Compassionate Leaders Program. The program brings mindfulness practice to inner city high school students and provides them the tools and opportunity to connect with mentors from the project’s corporate sponsors. We were excited to partner with Vlad to bring more awareness of this program to other corporations through our Giving Back program. In the span of six months we documented the evolution of the students development in the program and their relationship with their mentors from Google. 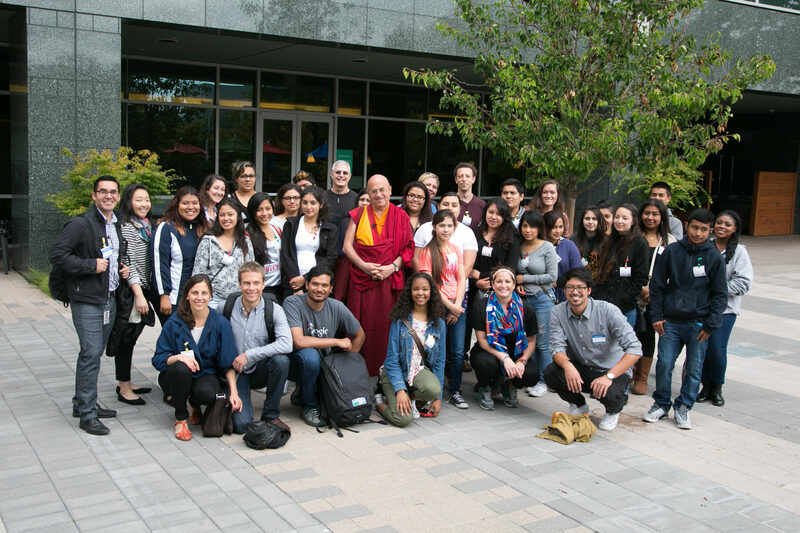 One of the key highlights of the program was for the students to go to the Google campus and listen to a world renown monk of mindfulness practice, Matthieu Ricard. By the end of their program, the students’ final project took on a serious problem in their community. The outcome of their project remains to be seen but the effectiveness/exposure to the mindfulness will hopefully stay with them for years to come. We’re grateful for the opportunity to work with the Compassionate Leaders Program on such a thought-provoking and important tool for the next generation of leaders!